This one is more complicated than what causes ADHD. A 2012 study found that ADHD is actually over-diagnosed in the youngest children in a given class. As ADHD is diagnosed largely by behavior, less mature students were often labeled as having ADHD. 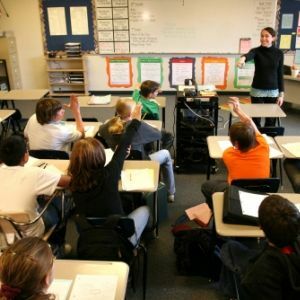 The study examined one million children in British Columbia (Canada) and found that children born in the last month of school enrollment eligibility (December) were 48 percent more likely to be diagnosed with ADHD than children born at the beginning of the year.